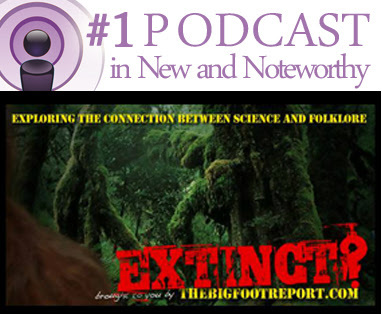 Your's truly, Guy Edwards, was fortunate enough to be invited to the 24th episode of the Extinct Podcast. Among the group were Ro Sahebi, Michael Merchant, Shawn Evidence and Damian Bravo almost made it. I opened up with the above visual, because I was concerned the ape vs human debate was more of a distraction than a healthy conversation with a conclusion. 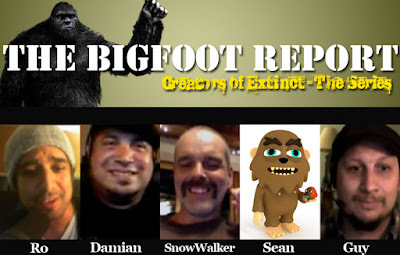 When you get bigfooters talking about other bigfooters in private, you often hear the qualifier (or disqualifier) , "he's in the dumb ape camp" or the opposing, "he thinks Bigfoot are almost human." In our opinion the reason that people pick sides is a basic misunderstanding how smart apes are. You can go to our previous post, "hard-wired traits in all primates," to see just how intelligent primates are. They are quite capable of sophistacated communication, counting, self-awareness and empathy. 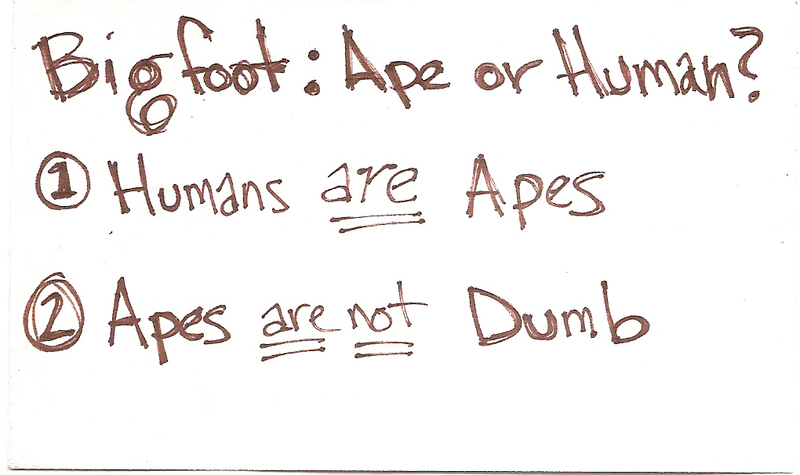 The other is the misunderstanding is how closely related apes and humans are. Many articles have made it clear. 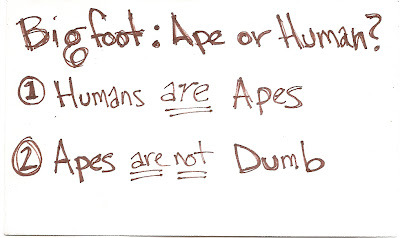 So if we agree 1) Humans are Apes and 2) Apes are not dumb. We can stop talking past each other and disqualify the rest of each other's research. 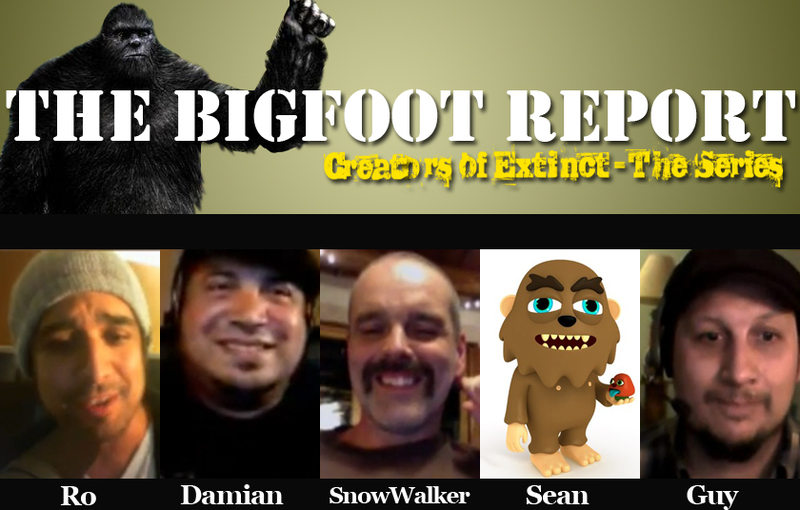 I was able to talk about a few other things at 24th episode of the Extinct Podcast embedded below or click to watch it on the Blip.tv website.